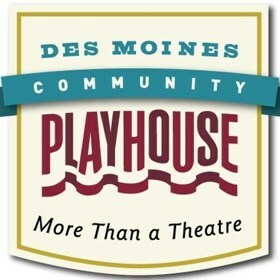 This voucher for the Des Moines Playhouse can be turned in for two tickets to a show at Kate Goldman Children's Theatre or two tickets to a show on the Mainstage. The shows remaining this season at the Kate Goldman Children's Theatre are Judy Moody and Stink: The Mad, Mad, Mad, Mad Treasure Hunt and Ella Enchanted. The shows remaining this season on the Mainstage are Catch Me If You Can, Silent Sky, and Newsies. More information about the shows can be found at DMPlayhouse.com. Included is also a $50 gift card to Louie's Wine Dive. Information on their menu can be found at louieswinedive.com. Restrictions: Cannot be used for the family holiday classic or special events.